A new year and a new blend. The blend still has the sweet and creamy body of the last version, but with a more interesting aroma. By using the unwashed coffee from Adado we have added hints of strawberry to top the deeper aromas of chocolate and marzipan. To mark the new blend Linus has also designed a new label with multiple colors. Hello Mobak, the yirga you tasted at Behag Din Smag in Ålborg, is from the crop they are finishing right now in ethiopia and from another mill - we can probaly expect it around may. Meanwhile we have the coffee from the Adado mill but we only have enough for use in the espresso blend. When new crop comes in in May we will sell both the washed and unwashed yirgas as SO! 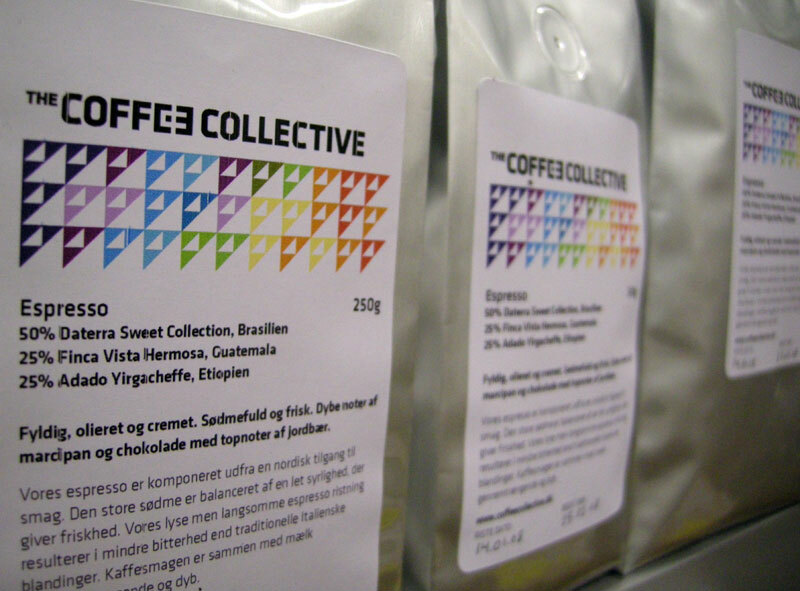 I'm looking forward to be able to buy the Yirgacheffe. Oh wow, that sounds wonderful. I love your packaging also.